Wooden offcuts come in a range of diversity. Both in shape and type. The diversity has richness in its appearance. Puzzling these bits and pieces from the sawmill makes these stools. 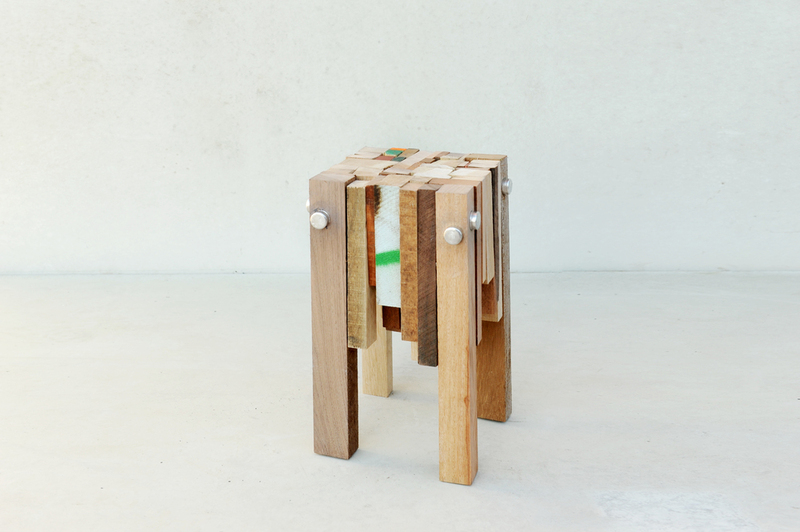 Therefore each stool is a puzzle on its own. The longest extrusions of the puzzle create its legs. The heart of the seat is held together by pressure only.